Magnification: 30x, 75x & 150x. 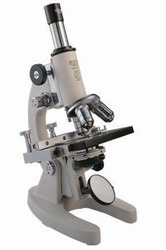 - Observation Tube: Monocular, inclined at 45-degrees fitted with Goniometric head graduated 360 degrees. Illumination: The illuminator incorporated 3W LED lamp and has adjustable brightness. Same as VN-5 but condenser movable by rack and pinion. With this movement of condenser, intensity of light can be increased and decreased according to the high power and low power objectives for better contras Thermobt and image. 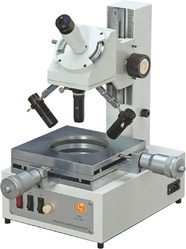 Vardhan SPM07 is a specially designed microscope with a high resolution CCD camera to view, instantly photograph & measure exact Weld penetration depth in all types of welded samples. See pollen grains, insect parts, etc. usnig this simple tool. You can place objects on glass stage. Forceps, needle etc are included.